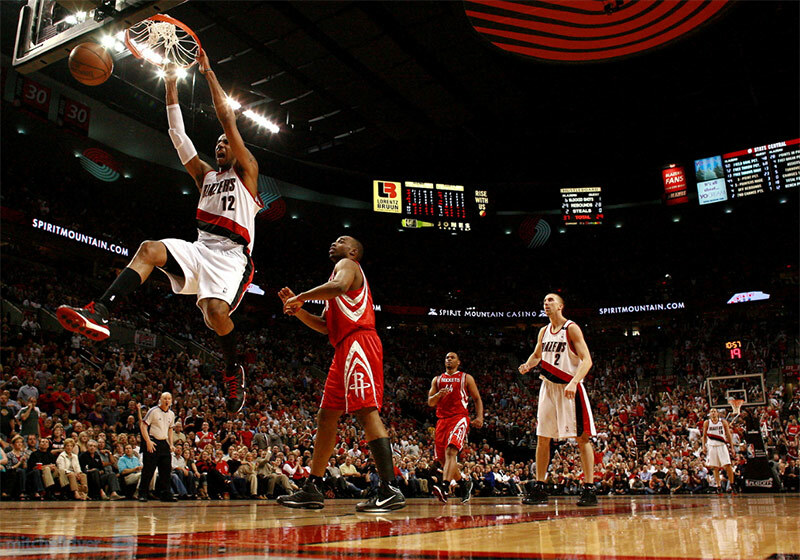 Craig Mitchelldyer sees some of the greatest moments in Portland sports from a vantage most will never experience. 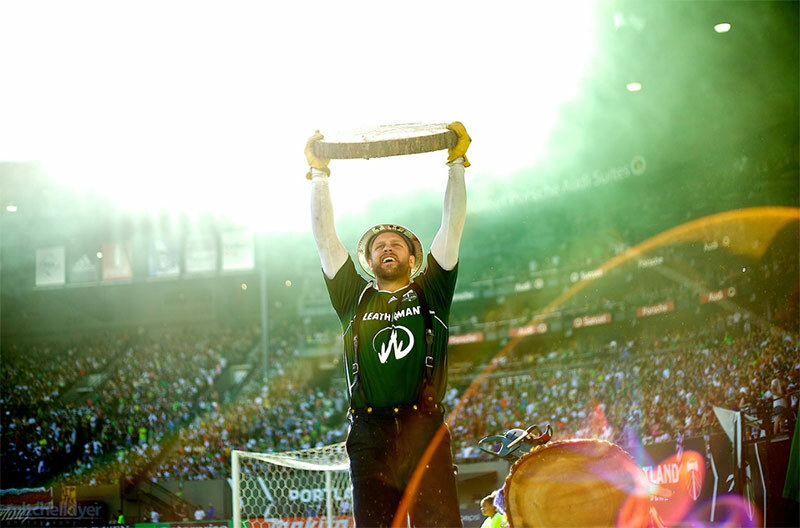 He was there when the Timbers won the MLS cup. 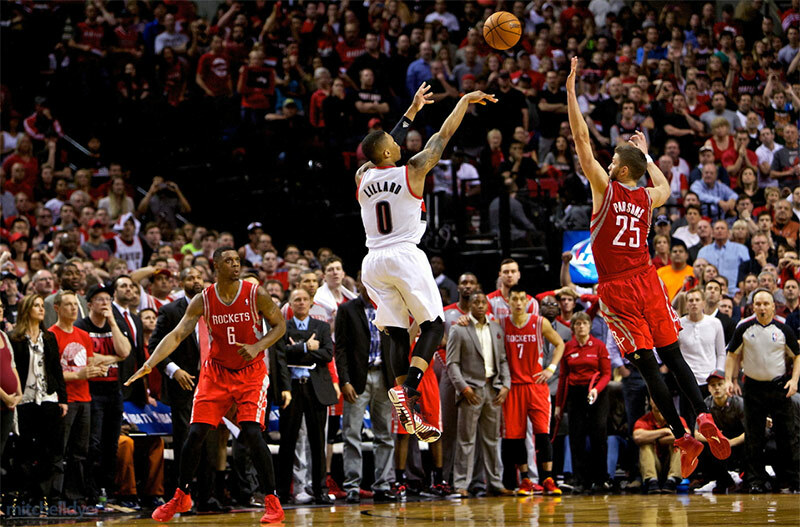 He captured the moment when Damian Lillard nailed a game-winning three to win the playoff series against Houston. 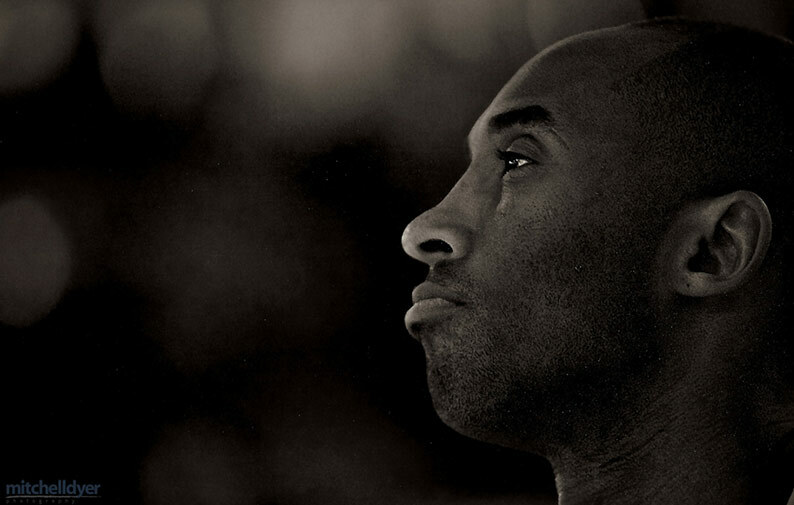 Each time, he was on the sidelines, watching through a camera lens. “I live my dream every day,” he says. He’s much more than a sports photographer, though. While he focuses on action at least 150 days a year, Mitchelldyer also shoots weddings, corporate headshots, editorial work and more. 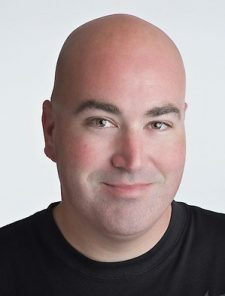 When the Timbers joined the MLS, they named him their official team photographer, a role that sees him creating images for all team needs, from portraits to community events. We caught up with Mitchelldyer to learn about the man behind some of Portland’s most iconic sports images. 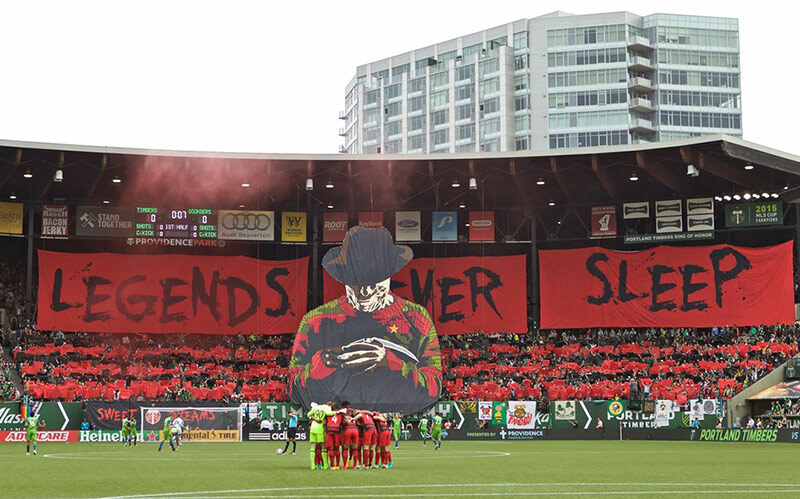 You’re a “team photographer” for the Timbers. What does that even mean, and how did you land that job? It just means I’m responsible for all the photography that the team needs. Game day, behind the scenes, player portraits, marketing images, player appearances, community events, mug shots, really anything and everything. I had been working for the team on a freelance, every once in a while basis since they were in the USL and the AAA Beavers Baseball played at the stadium. They liked my work and what I could bring to the table so to speak so they asked me to be the team photographer once they went to MLS. You get a vantage that most fans will never get to see. What does that feel like? I don’t get to see as much during the game as if I was just watching it. I see little moments through a narrow view (the lens). Often I’ll watch replays and it looks very different from what I saw. I don’t take it in too much, because I’m usually trying to record the moments, but I did purposely stop and just look around and take it in for a minute or so after the Timbers won the MLS Cup. That was a pretty emotional night for me. 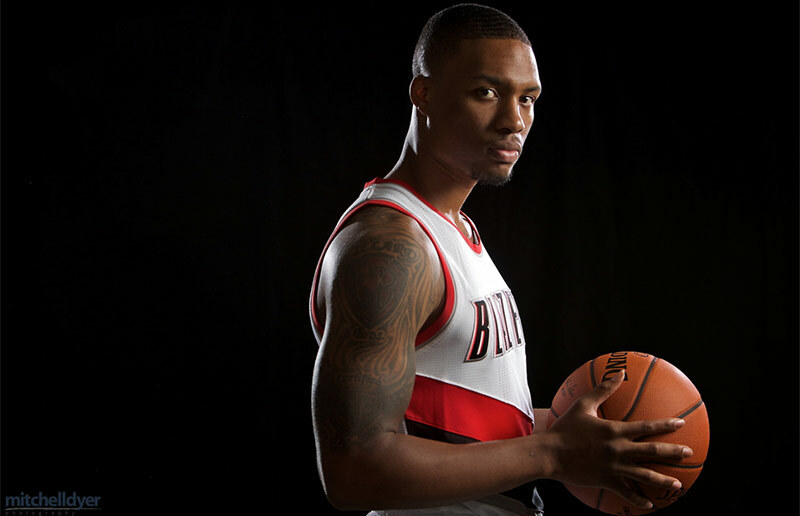 Is it more difficult shooting portraits of star athletes like Damian Lillard, Alex Morgan and Kobe Bryant? Famous people are just people. To me, its all the same. They are a both easier and harder to shoot. Easier in that they’ve done it a million times and know what looks good, harder in that their time is limited and they usually don’t want to be doing a photoshoot. Ha! I will say, Dame is great to work with, and my favorite athlete(s) of all time to shoot are Ashton Eaton and Brianne Thiessen-Eaton. I would put Dansby Swanson (Braves SS and former #1 overall draft pick) and of course Darlington Nagbe pretty high on that list too. Richard Sherman liked messing with me, he’s a funny dude. 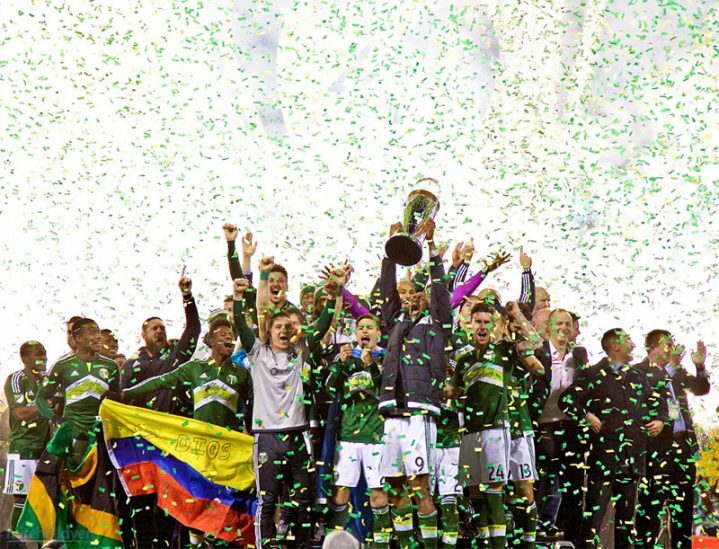 Being a lifelong Oregonian, how special was it to see the Timbers win the MLS Cup up close? It was special to me because I know how much works goes into it. Not just the team and the players, but the equipment guys, the marketing people, the event managers, the sponsorship dept, tickets sales, just all of the front office. They work so dang hard, long hours and it made it all worth it to see all that hard work pay off. What’s your most memorable sports photography moment? The MLS Cup, for sure. 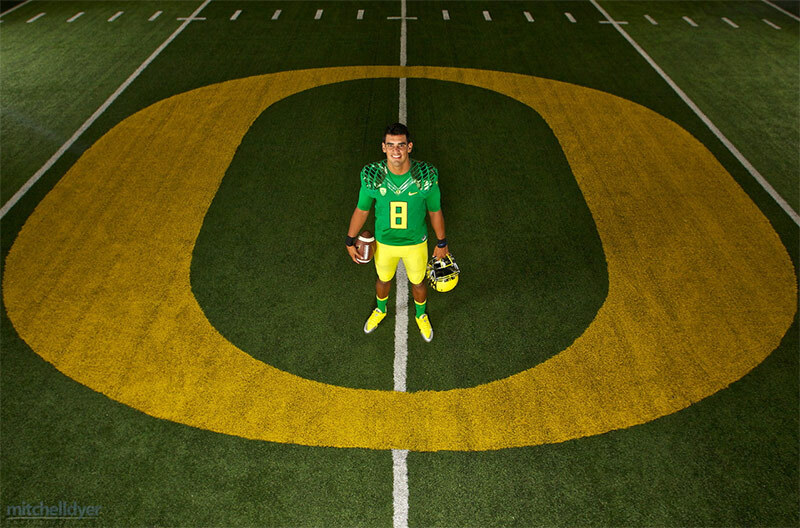 Do you have a single favorite sports image that you’ve shot? That’s a tough one. I don’t think I can answer that because I’ve got a lot of different favorites for different reasons. I really like images that show a lot of emotion and great light. In that regard, I don’t think I’ve shot my favorite sports image yet. Finally, is there a dream photo assignment you’d love to shoot? Not really. I live my dream everyday. I used to want to shoot an Olympics, but that was before I had kids. Now I wouldn’t want to do that (unless I go paid a LOT of money), same with being on the campaign trail or in the White House. Those jobs would have been my dream gigs when I was younger. Now, I’m living it, so I would;t change a thing.